6.8 Earthquake hits southeast of the Loyalty Islands. 5.7 Earthquake hits central Peru. Two 5.2 Earthquakes hit the Sumbawa region, Indonesia. The French Alps have been rocked by 140 mini-quakes in just 40 days – sparking fears a huge earthquake could strike at any time. There are also fears the tremors could lead to a deadly avalanche hitting dozens of popular ski resorts in the Alps mountain. The strongest tremor registered was 3.8 on the Richter scale. Residents in the region have describe how they have been getting used to being shaken awake at night in recent weeks. In the Atlantic Ocean: Invest 94L is an area of disturbed weather in the North Atlantic Ocean that has the potential for further tropical development. Europe – Strong winds battered northern and central Europe on Sunday, killing at least six people in Germany, Poland and the Czech Republic, with authorities watching for oil leaks from a huge freighter that ran aground in the North Sea. Four victims in Poland and the Czech Republic were killed by falling trees. The storm also knocked out power to thousands of Czechs and Poles, and rail traffic in large parts of northern Germany remained suspended after heavy damage from fallen trees. Winds reached more than 100km/h (60 miles per hour) in several parts of the Czech Republic and topped out at 180km/h on Snezka, at 1,602 metres, the country’s highest mountain. The two victims in Germany included a 63-year-old German man who drowned at a campsite in Lower Saxony as a result of a storm surge, and a woman whose motorboat overturned in the state of Mecklenburg-Vorpommern, German media reported. Malaysia – A Monday afternoon downpour resulted in flash floods in several parts of Kuala Lumpur. Numerous streets and highways were flooded creating huge traffic jams that lasted for hours. Canada – Record-breaking rainfall in Ottawa on Monday flooded homes and forced Prime Minister Justin Trudeau to take an ATV for part of his commute. At least 175 homes were flooded, according to the city. More than 50 mm of rain fell in just six hours Monday morning, setting a new one-day record, Environment Canada reports. It is uncertain why the octopuses were engaged in what has been described by scientists as “odd” behaviour. There could be several reasons that they moved on to the beach, including spawning, weather and water temperatures. As the areas where they are exhibiting this odd behavior coincides with the two areas hit by the two recent low-pressure depressions and associated storms of Ophelia and Brian, it could be supposed that these have affected them. Or it could simply be injuries sustained by the rough weather itself or there could be a sensitivity to a change in atmospheric pressure. n the briny waters of Jervis Bay on Australia’s east coast, where three rocky outcrops jut out from piles of broken scallop shells, beer bottles and lead fishing lures, a clutch of gambol among a warren of nearly two dozen dens.. The bustling community belies conventionally held notions of the cephalopods, once thought to be solitary and asocial. 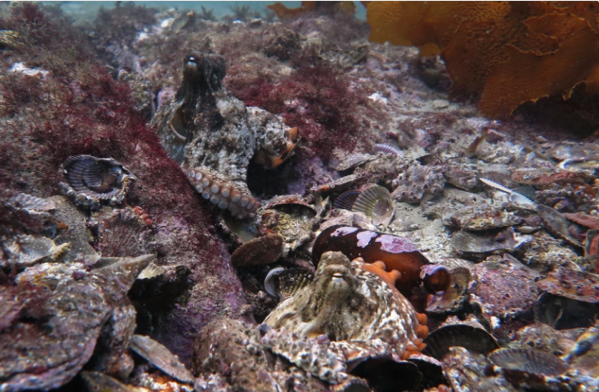 Scientists have discovered the normally gloomy and reclusive octopuses living at high densities in Jervis Bay, Australia, where they are interacting with one another, signaling, mating and throwing one another out of their dens. Fueling the impact is the fact that more than 2,100 cities globally exceed recommended levels of atmospheric particulate matter — particles emitted when fuels, such as coal or diesel, are burned and are small enough to get into the lungs — says a report published Monday in the medical journal The Lancet. In the UK alone, 44 cities exceeded levels recommended by the World Health Organization. While plague cases continue to be reported in Madagascar, health officials say the situation is improving as evidenced by 16 previously affected districts reported no new confirmed or probable cases of pulmonary plague during the past two weeks, which is creating some optimism. 5.2 Earthquake hits Oaxaca, Mexico. In the Atlantic Ocean: Remnants of Philippe are located about 290 mi…470 km S of Cape Hatteras North Carolina with maximum sustained winds…60 mph…95 km/h. Present movement…NNE or 20 degrees at 46 mph…74 km/h. In the Western Pacific Ocean: Tropical Storm 27w (Saola), located approximately 64 nm south-southeast of Yokosuka, Japan, is tracking east-northeastward at 42 knots. Alaska – Heavy rain Thursday and Friday caused minor mudslides and triggered flood warnings across Juneau. No injuries were reported. 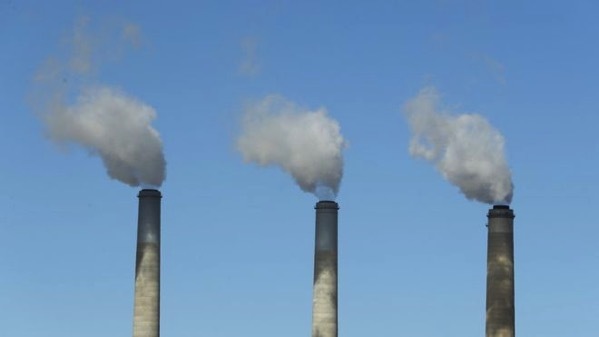 Concentrations of CO2 in the Earth’s atmosphere surged to a record high in 2016, according to the World Meteorological Organization (WMO). Last year’s increase was 50% higher than the average of the past 10 years. The figures published by the WMO are what’s left in the atmosphere after significant amounts are absorbed by the Earth’s “sinks”, which include the oceans and the biosphere. 2016 saw average concentrations of CO2 hit 403.3 parts per million, up from 400ppm in 2015. “It is the largest increase we have ever seen in the 30 years we have had this network,” Dr Oksana Tarasova, chief of WMO’s global atmosphere watch programme. More than 40 bushfires burned across South Australia on Sunday, scorching hundreds of hectares and threatening properties. The spate of fires came before Wednesday’s start to the official bushfire season in most districts and more than a month before summer. Country Fire Service volunteers battled grass fires fuelled by tricky weather conditions, including wind gusts of up to 100km/h and dry vegetation. The biggest fire at Worlds End, in the state’s mid-north, destroyed 280 hectares of stubble before being contained, but was still being monitored for flare-ups on Monday. 5.9 Earthquake hits north of Franz Josef Land. 5.7 Earthquake hits north of Franz Josef Land. 5.5 Earthquake hits north of Franz Josef Land. 5.1 Earthquake hits west of Macquarie Island. In the Atlantic Ocean: Tropical Storm Philippe is located about 75 mi…120 km SW of Miami Florida and about 55 mi…90 km ENE of Wey west Florida with maximum sustained winds…45 mph…75 km/h. Present movement…ENE or 70 degrees at 17 mph…28 km/h. In the Eastern Pacific Ocean: Post Tropical Cyclone Selma is located about 50 mi…80 km NNE of San Salvador El Salvador with maximum sustained winds…30 mph…45 km/h. Present movement…NNE or 30 degrees at 5 mph…7 km/h. In the Western Pacific Ocean: Tropical Storm 27w (Saola), located approximately 211 nm east-southeast of Iwakuni, Japan, is tracking east-northeastward at 28 knots. Florida, USA – Tropical Storm Philippe makes for a wet day and night in South Florida. The National Hurricane Center said the poorly organized Philippe’s center was approaching the Florida Keys as heavy rains washed over Central Cuba, South Florida and the Northwestern Bahamas. Thailand – Despite floodwaters draining across the country more than 112,800 families in 17 provinces are still affected by floods, with the death toll standing officially at 10 from the latest spate of flooding. The average first freeze over the past 10 years, from 2007 to 2016, is a week later than the average from 1971 to 1980, which is before Kunkel said the trend became noticeable. Clusters of late-emerging monarch butterflies are being found far further north than normal for this time of year and are unlikely to survive their migration to Mexico. Chilean authorities are seeking international advice after dozens of people in the southern part of the country contracted the infection, Q fever. Authorities report that the 43 patients are inhabitants of the region of Los Lagos and Los Ríos, in southern Chile, and twenty of them were hospitalized. It should be noted that the majority of the cases are workers in the dairy industry. Q fever is caused by the obligate intracellular pathogen, Coxiella burnetii. The disease is usually transmitted to people through either infected milk or through aerosols. This disease is found on most continents with the reported incidence probably much lower than the actual because so many cases are so mild. 5.3 Earthquake hits west of Macquarie Island. 5.0 Earthquake hits the Anatahan region in the North Mariana Islands. In the Atlantic Ocean: Potential Tropical Cyclone Eighteen is located about 165 mi…265 km SSW of the Isle of Youth and about 275 mi…440 km SSW of Havana Cuba with maximum sustained winds…35 mph…55 km/h. Present movement…N or 10 degrees at 10 mph…17 km/h. In the Eastern Pacific Ocean: Tropical Storm Selma is located about 55 mi…90 km SSE of San Salvador El Salvador with maximum sustained winds…40 mph…65 km/h. Present movement…NNE or 15 degrees at 7 mph…11 km/h. In the Western Pacific Ocean: Typhoon 27w (Saola), located approximately 48 nm northeast of Kadena AFB, is tracking north-northeastward at 16 knots.